Task #1 -- How well do you know Google? you will need to mark you own quiz by opening the answer page in a new tab. using the quiz as a source, create a numbered list of hints and tips that can be used to narrow your search results. 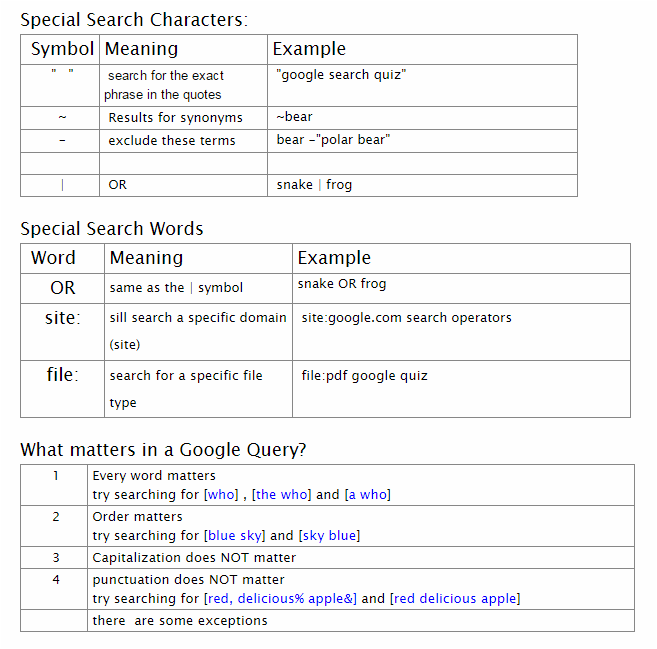 Examples that you may have on your page are the special search characters and special search words. Start these documents on a new page. Do NOT press th﻿e <Enter> a number of times to start a new page. Start these answers on a new page. Explore some of these "new found" options that are available in Google, which ones do you think will be the most useful, explain why.